This was a great class--see specific pages for information on current classes. 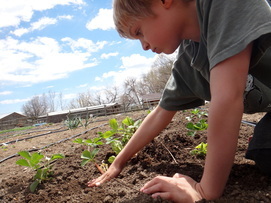 Homeschool Farm Class sessions are for older children with a focus on growing a deeper understanding of life on the farm. 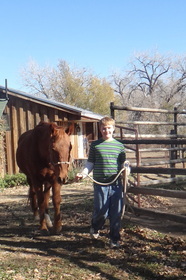 The first hour will be spent with younger morning Farm School younger farmers as we work with horse care and riding. Then lunch and our lesson of the day. The focus for March is CHICKENS. We will learn about chicken behavior, breeds, care and feeding. Together we will clean the chicken coop together and paint the coop, creating an interactive art piece that the kids work on together. The focus for April is HORSES. 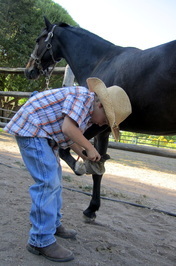 We will work on horsemanship: leading, grooming, lungeing, and sitting the trot on and off lead. We will also get down and dirty with horse care: grooming, cleaning stalls and prepping hay and feed, trimming hooves and giving dewormer. 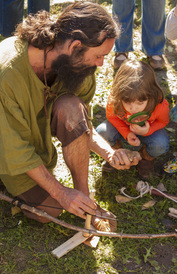 And we'll also get our hands in the dirt in the garden, amending the soil and getting some Spring seeds in the ground. The focus for May is BEEKEEPING AND GARDENING. We will learn about the importance of these pollinators and gain an understanding of the life of the colony. We have a bee suit for kids who are interested in getting up close and looking into the hive. We will also work in the garden together, planting, harvesting some Spring greens and making some projects for the garden. This was a great class -- see specific pages for more information on current classes. Are your kids interested in learning what is getting done out on the farm? 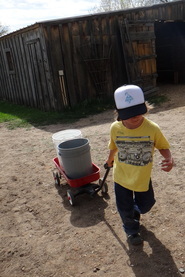 We are creating farm sessions for the Month of April and May in which children will learn animal care and feed, horse care, grooming and riding as well helping us get the garden for this growing season. We will provide a snack of popcorn popped in coconut oil but please feel free to send one with your child. 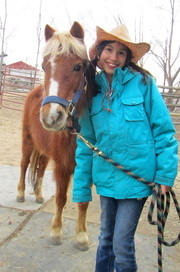 The focus for April is animal care, horse care and riding. In the garden we will be amending the soil and prepping garden beds and sowing early start seeds. And of course there is time for chasing chickens, hugging goats and swinging in the hay barn. This was a great class--see specific pages for more information on current classes. 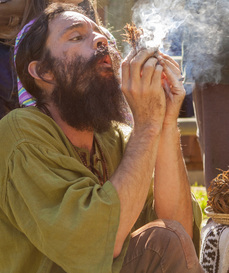 Come learn two of the most common methods of making fire before the advent of matches and lighters, Flint and steel and the Bow drill. 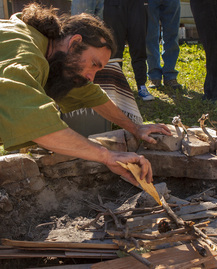 We will cover proper fire building methods as well as proper wood collection, and of course, how to use fire safely and respectfully. This will be a hands on experience, though kids are welcome to just observe if they like. $30 class fee per child.